We make your life easier with the most integrated and comprehensive suite of sales tools in the hospitality industry. It’s time to find out how you can multiply your reach, efficiency and sales effectiveness. 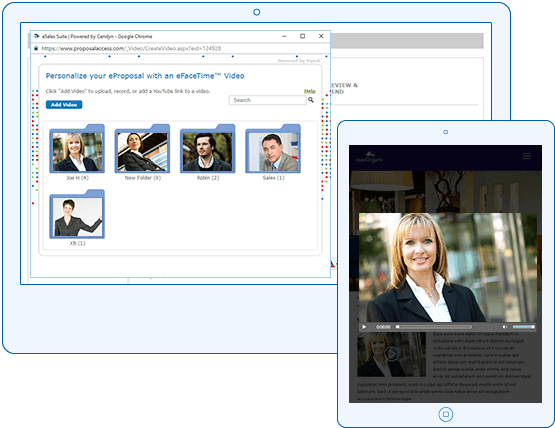 Make a great face-to-face impression with video clips featuring your staff. Cendyn’s innovative eFaceTime video marketing tool helps drive conversion by showcasing your venue as more than a faceless commodity. 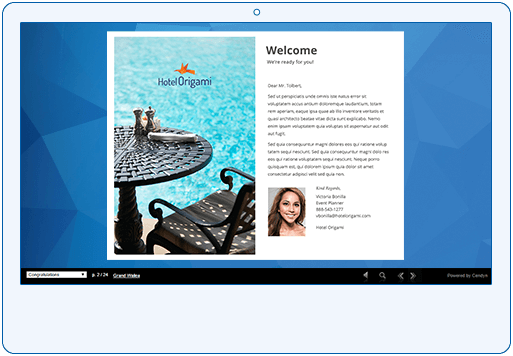 Get creative with videos to support your eProposal RFP response and highlight special offers, your amenities and welcoming staff. 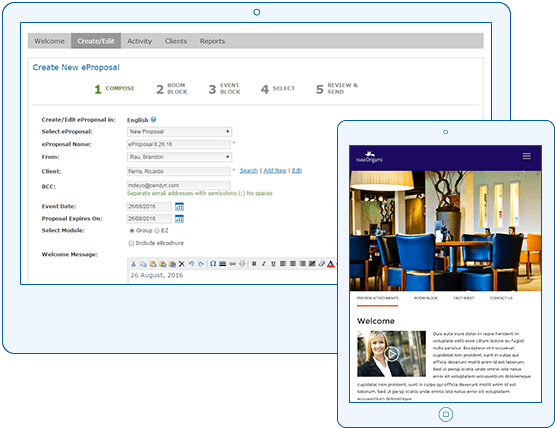 Close deals fast by making it simple and secure for clients to electronically sign an eProposal contract. Cendyn’s eContract saves time and money with PCI-compliant e-signature capabilities. You’ll increase conversions and speed closing time while strengthening security and eliminating the cost and inefficiency of paper-based business. Cendyn’s eCard gives you a broad choice of styles and imagery for branded communications. Let your customers know they are valued with a personalized thank you, holiday greeting, special offer, meeting reminder, sales call follow-up and more. 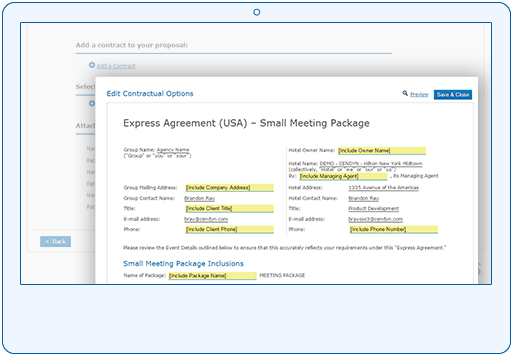 Cendyn’s eP LITE, offers the same administrative features as the full solution with a simplified client-facing presentation. 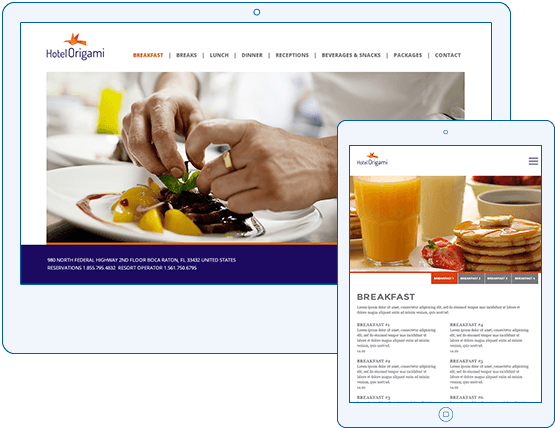 A one-page welcome message and sales offering links to your preferred content, along with an image header and brief photo tour. 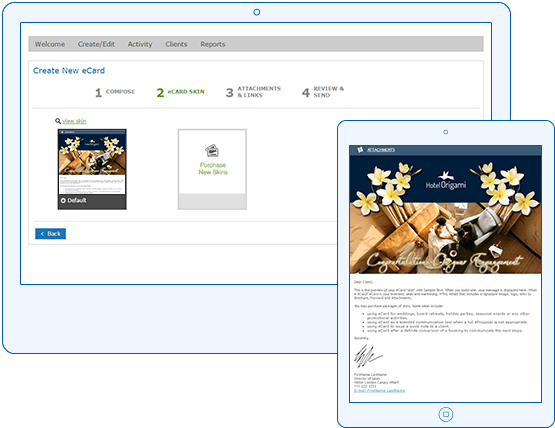 This easy-to-use solution also includes a simple dashboard for managing users, content, activity, special offers and our proprietary eCard system. Mobilize your sales force and increase revenue with the industry’s premier lead management solution. 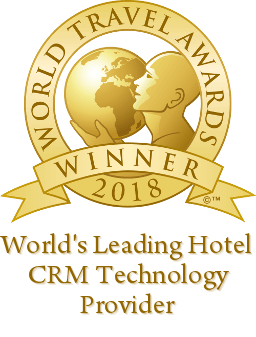 Engineered expressly for hotel group sales, eLeads helps you optimize the lead-to-opportunity-to-close lifecycle with robust workflows, visibility, tracking and lead qualification. Reap the rewards of upgrading from manual processes to a unified cloud platform built to maximize bookings. 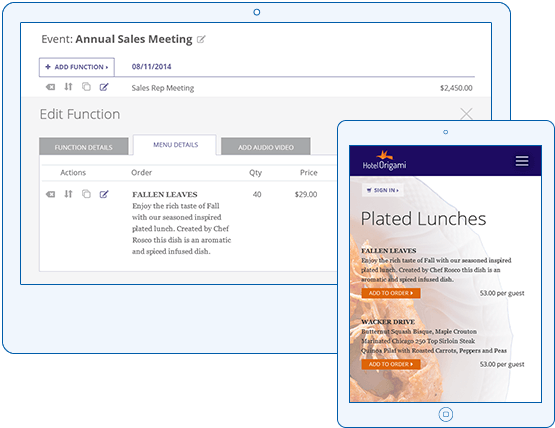 With uOrder, customers can select catering menu items, enhancements and quantities for events and full multi–day programs. They can organize, explore and brainstorm on the best menus available (including budget) and submit the order directly to the hotel for review. Enhance your event sales with vibrant digital brochures that showcase your venue and value to group planners. Cendyn’s eBrochure lets you easily personalize brochures to specific clients and prospects. Give clients a shareable, environmentally-friendly digital asset and eliminate the waste of paper brochures. Roll out a red carpet of information and answers for event-planning clients. 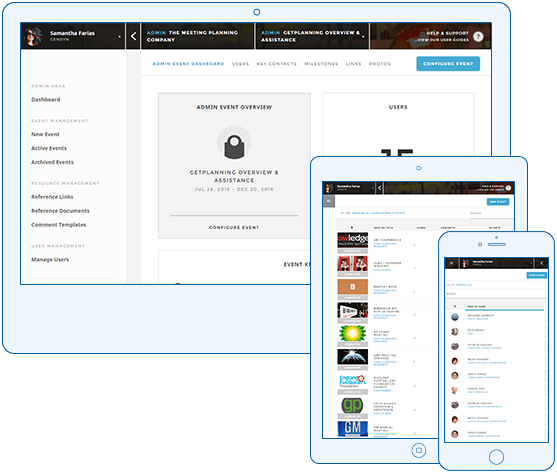 Cendyn’s ePlanner lets you create an online event resource library that puts unlimited information at your client’s fingertips. 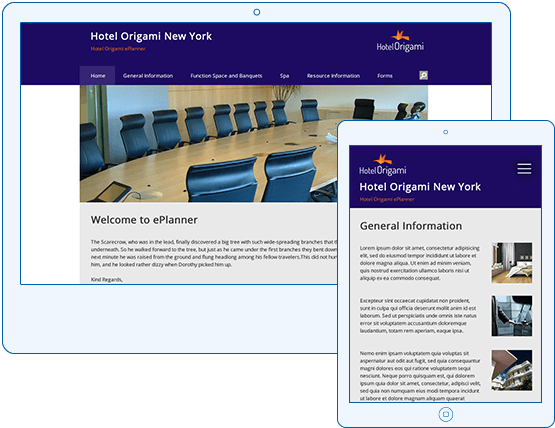 Save event planners time and frustration by addressing dozens of questions, from banquet options and room maximums to security, parking and more, all on an easy-to-use, mobile-friendly microsite available 24/7. Drive success between your venue and event planners with the industry’s most advanced RFP submission and response solution. 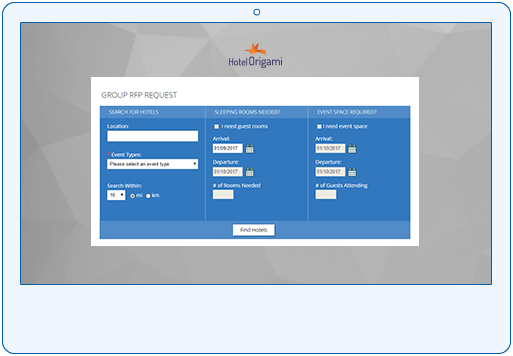 Cendyn’s RFP Toolkit gives your hotel a turnkey system for prospective clients to submit RFPs quickly and easily – while you reply within minutes using eProposal. 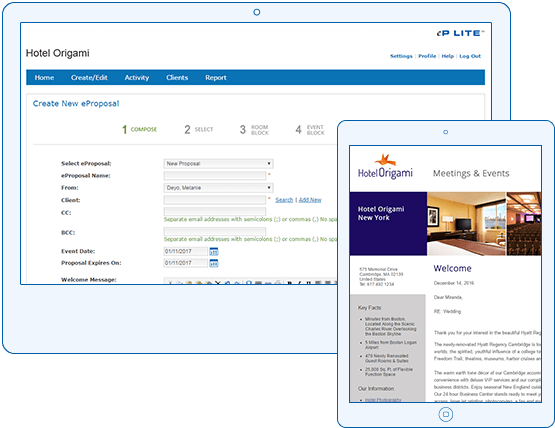 Drive results with a system used extensively by the event planning community to search and compare potential venues. 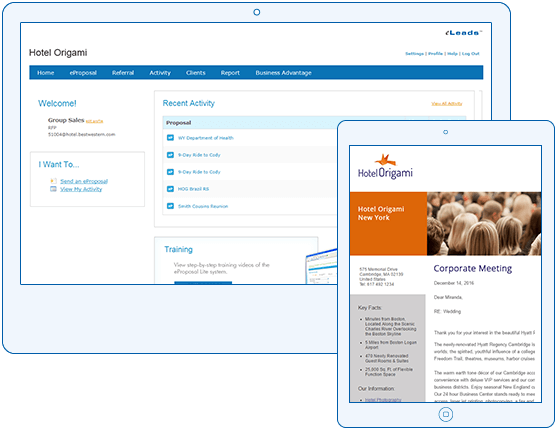 Improve event planning for all stakeholders with our collaborative, mobile-friendly project management tool. Cendyn’s Getplanning lets multi-party teams share documents, publish information and exchange messages in a secure environment with role-based permissions.